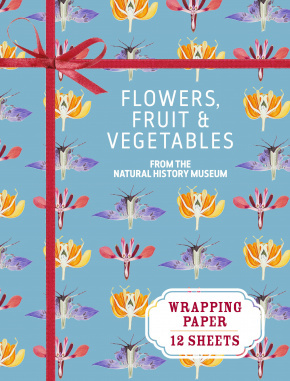 This collection of 12 sheets of quality standard-size (500 x 700mm) gift wrap features 18th and 19th century illustrations of colourful flowers, fruits and vegetables from the Natural History Museum, London - perfect for the gardener in your life. The wrapping paper is folded into a paperback book, which has a note-pad binding for a clean, easy-tear off. Illustrations are taken from works including Le Regne Vegetal (1870), Brookshaw's Pomona Britannica (1812) and Flora Exotica by J.G Simula (1720). The Natural History Museum looks after around 80 million specimens, from dodos to dandelions, dinosaurs to dragonflies. It is one of the world’s most important collections of natural history. 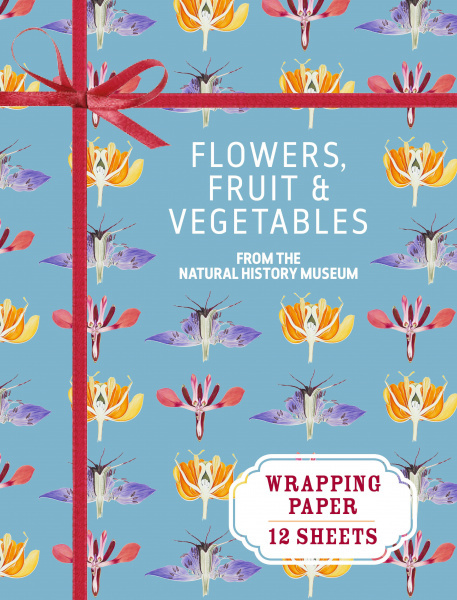 "These sheets of thick, glossy paper depicting paintings of flowers, fruit and vegetables from the Natural History Museum's collection, are almost too beautiful to be used as wrapping. Perhaps you could paper the. potting-shed walls with them?"